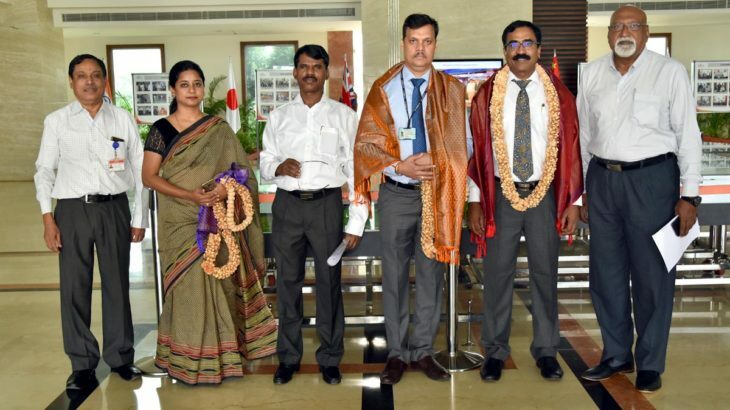 Sri City, November 29, 2018:- The Office of the Development Commissioner (DC), Sri City SEZ, Federation of Indian Exporters Organisation (FIEO)-Southern Region, Chennai and the management of Sri City, have jointly conducted a training session on ‘Global Trade scenario and Risk Management in Exports’ in Sri city on Thursday, for the benefit of exporting units. Delivering the introductory remarks Ms. Selvanayagi, Dy. Director, FIEO explained the very objective of conducting the training course. Inaugurating the session Mr. R. Muthuraj, ITS, DC, Sri City SEZ, stated that the resource persons will detail the credit risk management practices and affecting issues, and appealed the participants to actively interact with the experts. Mr. Yashwant Breed, DGM & Regional Manager, Export Credit Guarantee Corporation (ECGC), Chennai, and Mr. Srinivasan, AGM & Branch Manager, ECGC, Chennai were the resource persons for the session. They have discuss on international credit risk management practices and issues affecting, assessing customer creditworthiness, risk mitigation and security instruments, and explained the services that are offered by ECGC to the exporters. About 75 delegates from various industrial units attended the training session. At the end, there was a question & answer session.